HOUSTON (KTRK) -- A major crash has traffic backed up on Highway 288 from McHard to FM 518. If you must travel 288 this morning, expect heavy delays. 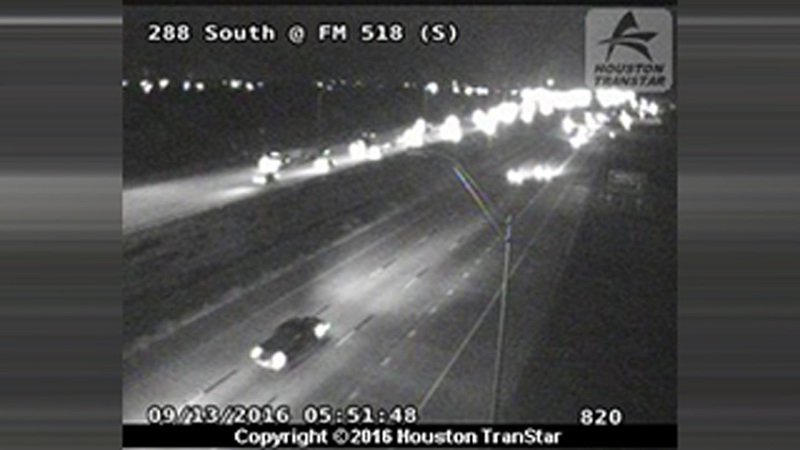 Pearland residents will see an extra slow commute this morning. Katherine Whaley says you can use Cullen Boulevard as an alternate. The wreck and emergency vehicles are isolated to the right shoulder and right lane, with traffic getting by on the left lanes.